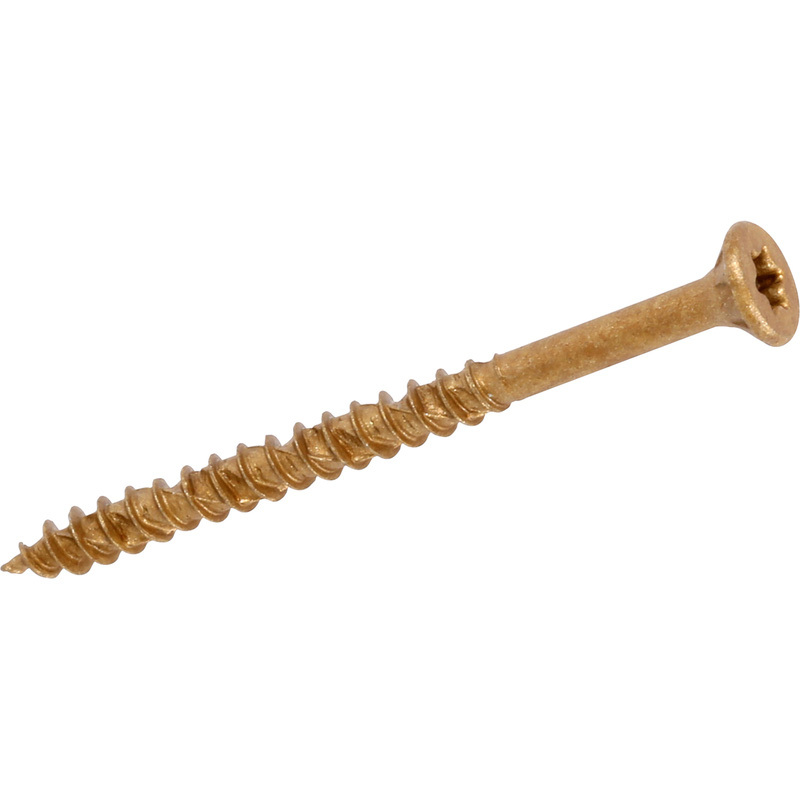 ForgeFast Decking Screw Tan 4.5 x 60mm (500 Pack) is rated 4.8 out of 5 by 24. Rated 5 out of 5 by Peter the Brain from Really Useful Saw Guide As someone with limited vision, I find this guide really helpful for cutting straight lines with circular saw. Rated 5 out of 5 by Kraken from Torx screw Very reliable screw used plenty of these on frames for poultry houses .handy driver with every box. Rated 5 out of 5 by Anonymous from Good screws as always Great product as usual,nice touch to supply a drill bit that fits the screw head properly would buy product again,delivery service great. Rated 5 out of 5 by Bramley8 from Decking renovation star drive head makes for positive operation with power driver. Rated 4 out of 5 by Busybeas from Excellent Screws for Decking ! Super quality screws, used 300 and not one 'duffer' at all ( unlike other suppliers). Self drilling, easy to drive using the supplied star drive bit. Easy removal too, Would use these every time myself. Delighted with them. Rated 5 out of 5 by Bebby Jane from Great reliable screws I use these to build wooden frames and decks. Easy to use and reliable. Wouldn't use anything else.